They’re a funny thing, deadlines. In my day job, they really can’t be broken unless there is a very plausible reason… an event outwith your control, preferably a disastrous mistake caused by someone else. There’s no room for whiny excuses of the ‘my dog ate my homework’ type when you’re dealing with pharmaceuticals and clinical trials. In the writing world, however, it seems that they’re made to be broken. There’s some wiggle room. It’s not the end of the world if you deliver your manuscript a few days late. No one will die. Apparently. Although I suppose there could be knock-on effects that won’t earn you many brownie points with your publisher. I wouldn’t actually know, as I set my own deadline for my first novel, Black Wood and I don’t have one at the moment – hence why I am earning a first class degree in procrastination. I like deadlines. They work for me. Having no deadline makes me lazy and restless. My mind flitters and flutters from one place to the next, hence why I haven’t actually written another book yet… I’ve got an endless number of ideas and I have written lots of words. They’re just not all in the same book. On 28th June, 2013 – the day I met my agent in his office and signed up with him – I had written 40,000 words. He asked when I could deliver the full manuscript. Edited, of course (so a third draft, in practical terms). I said I’d have it to him on 31st July… a mere 4.5 weeks. I don’t know how, but I did it. I even had a long weekend in Harrogate in the middle of it. In fact, I sent it to him a day early. Then he told me he was off on holiday for two weeks and would read it when he got back! Aaargh! First off, this is number 9 in a series. I didn’t know that before I started it – I was hooked by the premise and decided to read it. It’s always good to read a series in order, but to be honest it didn’t matter much as the focus was far more on the main characters than it was on the police involved in the investigation (note to self: DC Simon Waterhouse is very intriguing – might need to read some of the others now). What struck me right from the start, was the character of Nicki Clements. From the minute she opened her mouth/mind to the reader, it was clear that this was a woman with a tangled web of secrets. Why does she have to take a massive detour to get to the school? What’s the story with her ex-best friend? Her family? Why is she so damn jumpy? Turns out, she’s a compulsive liar. I won’t say more, for fear of spoilers. What I realised though, that as puzzling as the plot was (one of Hannah’s trademarks, hence why she was the perfect choice to write the next Poirot…), I was far more interested in finding out as much as I could about Nicki. So, this brings me to my own writing… Like many authors, (I assume) I start out with a central premise, the ‘what if’ scenario that drives the story. Then I build on that by writing more notes about the plot, the subplots, any scenes that pop into my head, locations etc. The last thing I think about is the characters. In my first novel, Black Wood, the premise was sparked by a true event. The characters seemed to come from nowhere, and more of them appeared the more I wrote. I didn’t plan any of them out, and to be honest I couldn’t tell you what any of their eye colours are and whether they prefer cats or dogs, wine or beer or if they’ve ever watched X-Factor or Newsnight. However – I’ve read articles by authors who’ve said the exact opposite. ‘The character of X spoke to me,’ ‘I just had to tell their story,’ etc. Sometimes I wish one of those characters would pop into my head. There’s pretty much no internet where we are staying… so my work (both day job and writing) must be done in snatches of time in cafes and the library – and not having the access in the afternoons and evenings means there is much time for thought. Especially when rain is battering off the roof! I can’t get the tone right. Does anyone else suffer like this when starting out on a new piece of work? Would love to hear your thoughts! You can read Shirley’s responses from last week HERE. I am working on my debut – a psychological suspense novel called BLACK WOOD. I recently received comments (all good – whew!) from my agent after a bit of a rewrite and we are now brainstorming the final part of the puzzle before it gets submitted to publishers (again). Fingers crossed! I have plans for another two books set in the same town – not quite a series, but sharing a setting and with some overlapping characters – a bit like Belinda Bauer‘s Shipcott novels (Blacklands, Dark Side and Finders Keepers), which are not really a series as such, but all set in the same place. I’ve always read a lot of crime and horror fiction, and am particularly interested in the psychological aspects of bad things happening to ordinary people and how they react. I particularly like dark secrets and the exploration of relationships – the idea that people are rarely what they seem. I’m writing the kind of things that I like to read. I think I would struggle to write for any other reason. Like many writers, I am fascinated by the concept of ‘what if..?’ and this is a scenario that seems to work well in most good genre fiction. Ideas come to me all the time. Something on the news, something I overhear. Sometimes it’s a tiny snippet, other times I can picture a whole scenario. I email notes to myself and add to them with each new thought until I have enough to work with. It will probably change later, but I always know I’m ready to go when I have an opening scene to start me off. It can take a while to get to this place, with a lot of note-taking and brainstorming ideas, but I can’t get anywhere without this – if it doesn’t feel right at the start, I stall after the first page, and if I try to push on regardless it never feels right. I work quicker when I start with a title. Sometimes these change later, but usually I spend a lot of time getting them right in my head before I start the story. A good title is essential for me as it frames the whole story. I always worry about not having my characters fully formed. I tend to be led by plot and their personalities then come together from the actions that surround them. Once they exist, and the story is in full flow, I tweak them and their backstories and eventually their secrets start to come to me. I don’t plan them in that way where you ask them questions like what they eat for breakfast and where they’d like to go on holiday. I’ve tried, but it doesn’t work for me. As far as planning goes, there’s a whole big debate about ‘plotters vs pantsers’ and having tried both, I’d have to say that I am a plotter by nature. I would love to just have a rough idea and wing it – in fact, I have tried that many times, with little success. After several failed attempts at writing a full-length novel, I finally completed one when I outlined in as much detail as I could. Things changed along the way, of course, as characters developed and caused the original ideas to shift, but without a plan I know I would never had made it to the end. I struggle to write without editing as I go. I like to read over the day’s work and fix it where I can. Saying that though, there have been times when a scene or a chapter has come to me at an inappropriate time, such as while just about asleep (the usual) or while on a train, or more regularly, while driving. In those cases, I write as fast as I can and email the mess to myself, fixing it when next back at the computer. Because of this, my first draft of Black Wood was in quite good shape, and I only went through making a few tweaks before I sent to my agent. I then made further tweaks based on his feedback – then I made some more significant changes and that is where it currently stands. I’ll definitely be using what I’ve learned from writing this book to help me write the next. I’m not in the ‘write X number of words every day’ camp, preferring to write in splurges as and when I can. When I was in the thick of the novel, I was writing in several chunks every day, early mornings and late nights – but before that, when I was working on shorts and flash, I definitely didn’t write every day. I always think I’ll write more on my days off work, or at weekends, but that rarely happens. Snatching time before or after work tends to be far more productive, and in those short bursts I can usually write about 1000 words an hour, if I’m focused and know what I’m writing. That’s probably the most important thing for me – knowing what it is I plan to write before I sit down to write it – otherwise I just end up staring at a blank page, or more likely, refreshing my facebook and twitter feeds to find something to do other than write. I don’t believe in a strict set of rules for writing. Everyone is different and works in different ways. I’ve bought loads of books on the craft of writing, and most have a few good tips and tricks, but the only way I can see it working is to find your own way. Anyone who tells you it’s easy is lying. Writing is hard work, but the feeling you get when someone tells you they’ve enjoyed something you’ve written makes it all worthwhile. Jane Isaac‘s first novel, An Unfamiliar Murder, was nominated as best mystery in the ‘eFestival of Words Best of the Independent eBook awards 2013.’ The sequel, The Truth Will Out will be released on 1st April 2014. Jane lives with her husband, daughter and dog, Bollo, in rural Northamptonshire. 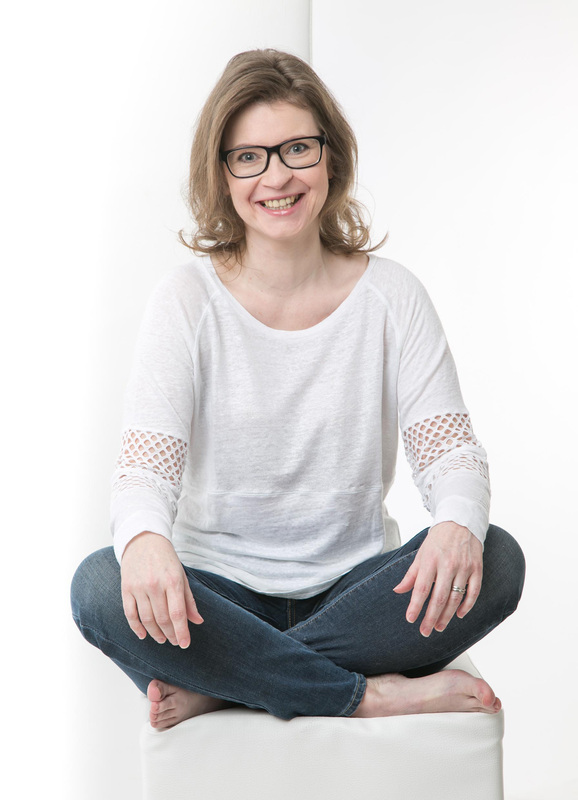 Miranda Kate is a British expat living in Holland, who by day is a freelance editor, and by night a writer of dark, disturbing ‘real-life’ fiction. Primarily a novel writer, Miranda enjoys exploring her writing through flash fiction, finding a certain satisfaction in the end result. Laura Jamez, a mother of two from Dunfermline, has been obsessed with horror stories from a very young age. She is currently working on a new collection exploring the worlds of a Vampires and Werewolves, due for release late Spring 2014. About a month ago I was invited to a book club evening where my own novel Dodger was being discussed. Obviously I was thrilled to have been asked because I’ve not been a published author for very long so its still a rare pleasure to meet anyone who has read it through until the end let alone a whole roomful of them. That said, I was still a bit perturbed about the whole thing because we writers are a sensitive, solitary bunch who are unused to sitting still while people tell us what they think of our stuff even if they are all being very nice about it. So I went along to meet the group excited about the occasion but also preparing myself for a bloody good squirm. At one point though there was a question and answer session for which I was completely unprepared. As I say, I’ve not been at this author game for very long and haven’t done many interviews so I don’t have a stock of ready-made answers for the simple perennials that your more seasoned scribes might have accumulated over the years. And so, with two empty bottles of the Prosecco already in the bin, I answered each question in a rambling, unfocused manner until whoever had asked it politely nodded and changed the subject. One of the many questions that I recall failing to answer in a satisfactory manner was the old favourite – “who influenced you?” That should have been an easy under-arm throw for me – considering that Dodger continues the story of a famous Dickensian character – but still my swing was off. I remember having largesse enough to credit Charles Dickens which I’m sure was a great comfort to his omni-present ghost but, beyond that, I can’t remember if I had any interesting answers to hand. And so, now that I’ve given it a bit more sober thought, I have decided that I would use this post to list just a few of the many novels that had an influence on Dodger and its upcoming sequel Dodger of the Dials. It’s hard to think of a more iconic and brilliant array of seedy underworld characters than the criminal contingent of Oliver Twist. Even before I had read the book I had seen countless adaptations and so the whole rotten gang loomed as large to me as if they were from some disreputable branch of my own family. Burglar Bill and Fagin the fence dominate this story of an innocent boy lost in the city like two dark parent figures and the whole tale hinges on whether or not they will seize control of the eponymous orphan’s soul. And yet for me the real star of the book is Jack Dawkins, the street-wise Artful Dodger, who instigates the London drama by plucking Oliver from the cold steps of the pavement and delivering him up to his criminal master. Everything about Dodger captures the imagination. His flash name and appearance, his amusing manner of speech, his sheer craftiness and skill at the tail-coat pocket. Oliver Twist isn’t actually my favourite Dickens novel – that would be the superb Great Expectations – but young Artful is far and away my favourite Dickens character. 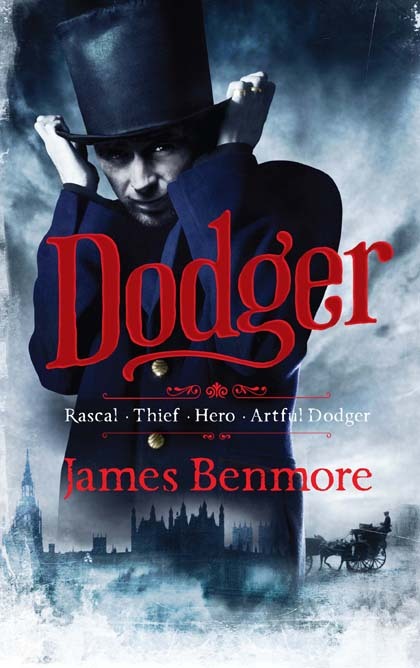 But one of the things I found to be a little disappointing when finally I read the novel was that the Dodger isn’t as central to the books plot as the adaptations had led me to believe. He barely registers in the final act having been transported to Australia for stealing a silver snuff-box long before the climax. So Dodger couldn’t have known about Nancy’s betrayal, Bill’s bloody vengeance or Fagin’s hanging. One of the most famous characters from Oliver Twist, it occurred to me, doesn’t even know how Oliver Twist ends. This thought was the seed that inspired Dodger. Long before I had any sort of plot developed, or had even decided if I wanted to write a historical novel, I found myself imagining the scene when he returns to London some years later and learns about the horrible fate that befell his criminal family after his departure. I imagined that if he were to narrate the story then Oliver would be presented not as his usual angelic self but as rather a more destructive and insidious presence – a boy who betrays his own class so that he could move upwards in society. In Dodger’s eyes Oliver is the real villain of the piece and I relished the chance to explore this warped perspective. But although Oliver Twist was the primary influence on both books – and scarcely a page of either was written without me referring to the Dickens classic – it was not the only novel that shaped the way that the book was written. The plot of Dodger – which actually came to me quite late into the planning stages – revolves around a missing Indian jewel called the Jakkapoor stone that has been hidden somewhere deep inside London that Dodger needs to locate. This fictional jewel was originally looted many years earlier in the aftermath of the real-life siege of Seringapatam by an officer in the British East India Company from an ancient temple and is said to be cursed. Fans of the nineteenth century sensation novel will recognise this plot set-up from the prologue of one of English literatures earliest detective novels The Moonstone written in 1868 by Wilkie Collins. Collins was a friend of Dickens and also my second favourite novelist of that period. His work is surprisingly modern, fast-paced, funny and suspenseful and these were exactly the qualities that I hoped that Dodger would have. So The Moonstone was a perfect book to pilfer from although the plots of both unfold in very different ways and reveal contrasting secrets at their centres. This 1839 historical crime saga was based upon the exploits of the real life C18th criminal Jack Sheppard and was serialised in Bentleys Miscellany, the same monthly magazine in which Oliver Twist appeared. The two stories ran at the same time as each other so would have been linked in the public mind and there is evidence to suggest that Sheppard might have even been more popular than Twist in many circles. Because they both featured crooks, murderers and scenes of condemned men awaiting their executions, they were labelled with the term Newgate Novels. Dickens, however, hated the genre association because works such as Jack Sheppard and the similarly themed Paul Clifford by Edward Bulwer-Lytton were clumsily written and did not enjoy a respectable reputation. They were seen as controversial and scandalous because they glamourised criminality and Dickens felt – rightly – that Oliver Twist was much more than that. But Jack Sheppard still is a rollicking and irreverent read despite being the low-brow twin of Twist and it always occurred to me that a Jack Dawkins book would have a lot in common with it. The plot of Dodger of the Dials owes as much to this book as Dodger owes to The Moonstone. This might seem a peculiar novel to credit with influencing Dodger because its a science-fiction classic rather a Victorian tale. But I remember reaching for it on the day that I began to write the first page four years ago because I wanted to soak up the unrepentant voice of teenage rebellion that we hear from the narrator Alex. The first chapter of Dodger shows Jack and his young gang prowling the streets of Covent Garden looking for pickings and getting into trouble while employing the slang of his day so although the events of both books are worlds away from each other there is a sort of echo. I called one of the boys Georgie after one of the Droog’s and the thickest member of the Dawkins gang – the moronic Horrie Belltower – was very much inspired by the aptly-named Dim. I read this wonderful novel a few years before I wrote Dodger and although I don’t think it has any direct influence over the story I know that Waters was a big inspiration when I was first considering making a go of it as a novelist. Until Fingersmith I don’t think I had any intention of writing a historical novel and imagined myself writing something more contemporary. But I was so taken with how brilliantly she had created her own vision of Victorian England that when I eventually struck upon the idea of writing Dodger I was perhaps a bit keener to take the plunge into the nineteenth century than I would have been otherwise. I also loved her equally impressive previous novel Affinity. Another novel that I read soon before I began Dodger was this terrific historical piece set in 1863 Scotland which is told by a 15 year old Irish maid called Bessy. I had read a review of this book which had praised the use of an archaic and lower-class dialect and, because I knew I wanted Jack Dawkins to speak in his particular cockney voice, I wanted to see how successful Harris had been with her own unlikely narrator. Looking back on that early stage in my novels development there was a chance that if I had read The Observations and hated the way it was written then I would have considered abandoning my plan to write the book in the first-person and therefore perhaps the whole book itself. But Bessy turned out to be such a lively and compelling narrator that she only strengthened my resolve to let Jack Dawkins tell his own story himself. Finally I have to give credit to a writer I have loved ever since I noticed his name recurring on all the best stories in the weekly sci-fi comic 2000 AD when I was a child. There are few living writers I admire more than Alan Moore and this graphic novel – in which a number of characters from different Victorian novels all interact as some sort of literary Justice League – gave me the confidence to not just to try writing the further adventures of a famous fictional creation but also to have him brush shoulders with characters from other Charles Dickens novels. Jack Dawkins steals from the pockets of a number of Dickensian cameos throughout Dodger, including Mr Pickwick, Betsey Trotwood and a few others, and I’m not sure I would have been so bold to throw those characters into the mix without the League’s precedent. Moore’s irreverent attitude towards the characters he was playing with in his series assured me that what I was doing with the Artful Dodger was not actually illegal and that the book police wouldn’t come and arrest me for crimes against literary posterity if I was eventually lucky enough to get published. James Benmore has written two novels based upon the continuing exploits of the Artful Dodger from Oliver Twist. The first, Dodger, is available to buy in hardback and ebook now, while the second, Dodger of the Dials, will be released in April 2014. They are both published by Heron books, an imprint of Quercus. 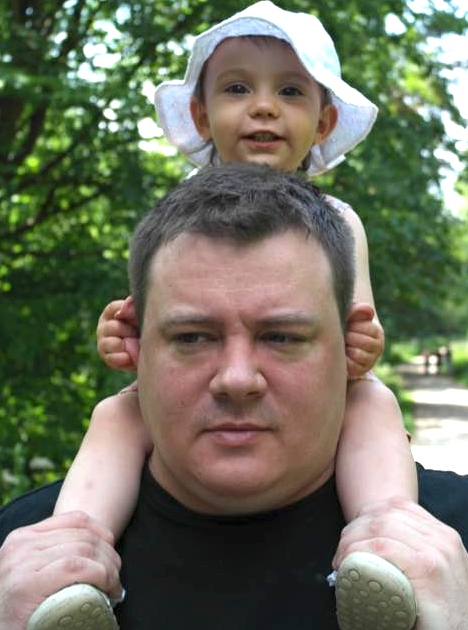 His short story `Jaggers & Crown’ was published by The Fiction Desk in 2011 and he is also currently writer in residence at Gad’s Hill School, the former home of Charles Dickens.